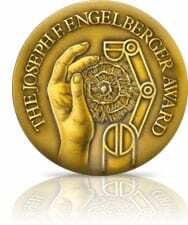 “Happy Birthday!” to industrial robotics pioneer Joe Engelberger who turns 90 today, July 26. That also means that robotics as an industry is around 60 years old. 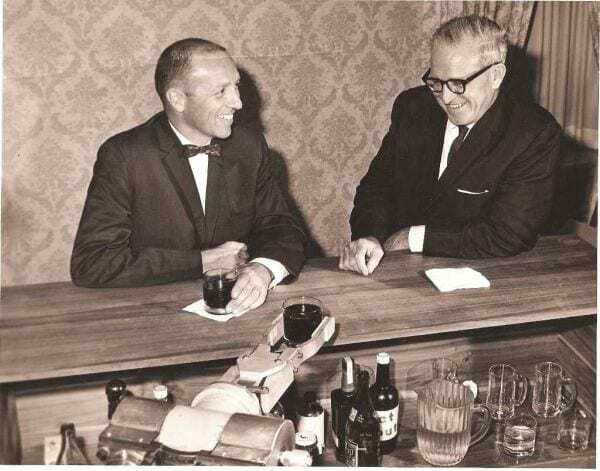 Joe Engelberger and Georges Devol formed Unimation, the world’s first robotics company in 1956 and the first Unimate arm was installed in General Motors in 1961, transforming the automotive industry. Today the robotics industry is a multibillion dollar business. While the automotive industry is still the largest piece of the robotics pie, the range of commercial uses for robotics is expanding into many of the service areas Engelberger also pioneered decades ago. 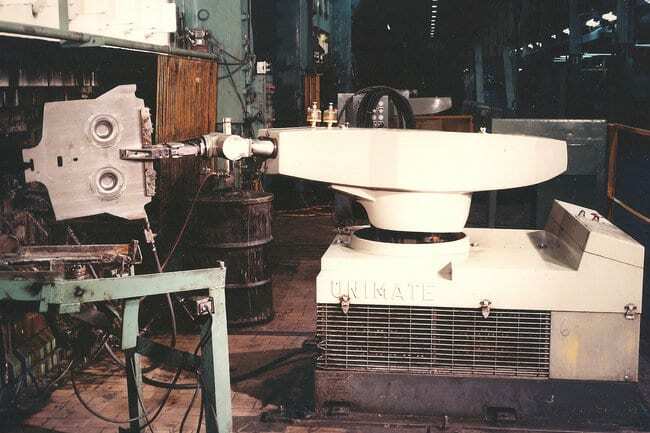 The first Unimate hydraulic arm was installed in General Motor’s Trenton New Jersey plant to do a ‘hot hazardous job’ moving heavy metal pieces to and from the die cast machine. Over the next few years, other automobile companies like Ford, Chrysler and Japanese manufacturers purchased robots from Unimation. Unimates designed for welding, painting and gluing were in production by 1966. In 1977, Unimation purchased Victor Scheinman’s company, Vicarm, which lead to the development of the PUMA robot or Programmable Universal Machine for Assembly. The VAL software became the industry leader. But by 1981, automobile manufacturers like GM wanted to shift from hydraulics to electric motors, a move Engelberger resisted. GM announced a new partnership with Fanuc, and Unimation was acquired by Westinghouse in 1982 for $107 million. By 1988, the core Unimation team had all moved on to other endeavors and Unimation was sold to Staubli. The first Unimate arm ended up on display in the Smithsonian, after 100,000 hours of operation, as the world’s first industrial robot. Starting the industrial robotics industry wasn’t enough for Engelberger though, who moved on to pioneer the service robotics industry. Engelberger formed HelpMate Robotics, initially known as Transitions Research Corp, with the vision of creating mobile robots capable of navigating hospital corridors, delivering meals, pharmaceuticals, patient records and other goods. 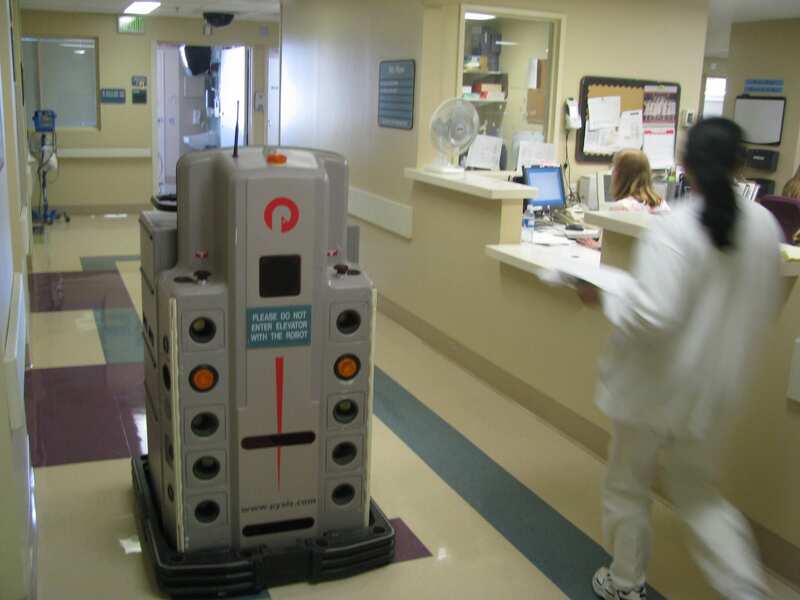 By 1997, when HelpMate was acquired by Cardinal Health, more than 100 service robots were roaming hospital corridors. HelpMate had raised $6 million through an IPO, and had a partnership with Otis Elevators for the distribution of HelpMate robots in Europe. Engelberger received the Japan Prize from the Science and Technology Foundation of Japan for ‘systems engineering for an artifactual environment’. Engelberger’s next plans were to launch an elder-care robot. Most old folks who enter nursing homes are mentally alert and healthy, Engelberger noted in his 1997 interview with Bloomberg Businessweek. “They just aren’t nimble enough to care for themselves.” All the technology developed for patient care would be useful for elder-care robots. Engelberger believed that adding certain repetitive household jobs, such as loading the dishwasher or microwave oven, would be fairly easy. Others, including meal preparation, might involve special-purpose attachments. And for finding packaged foods, the robot could have a built-in bar-code reader. With the population aging, demand could surge, bringing costs down to something as affordable as a car. “We wish our friend Joe Engelberger all the best for his milestone 90th birthday,” said Jeff Burnstein, President of the Robotic Industries Association (RIA). “Joe was instrumental in founding RIA over 40 years ago, bringing together early robotics leaders. 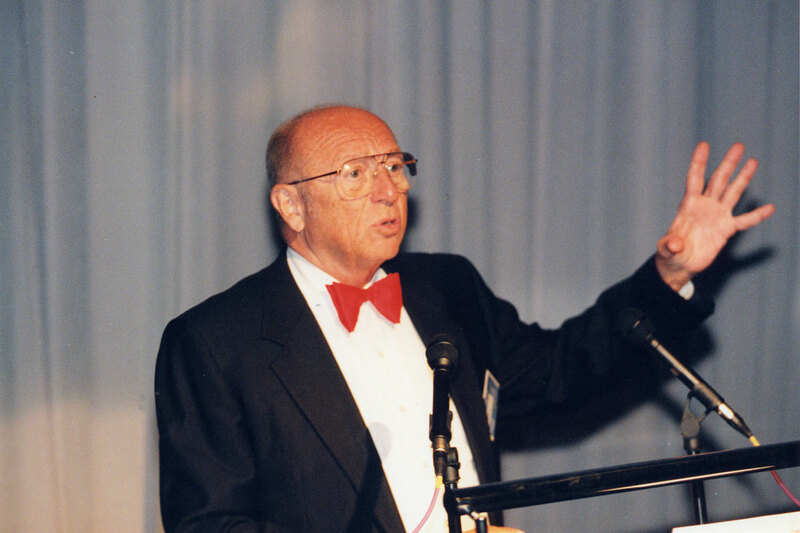 We’re very thankful for his pioneering role and honor him every year by presenting the Joseph F. Engelberger award to individuals making outstanding contributions to the field of robotics.” Since the awards inception in 1977, they have been presented to 116 robotics leaders from 17 different nations. In his honor, RIA will soon be launching a special Engelberger tribute site, which will be found at www.robotics.org. Silicon Valley Robotics joins the RIA and IFR in wishing Joe Engelberger all the best.